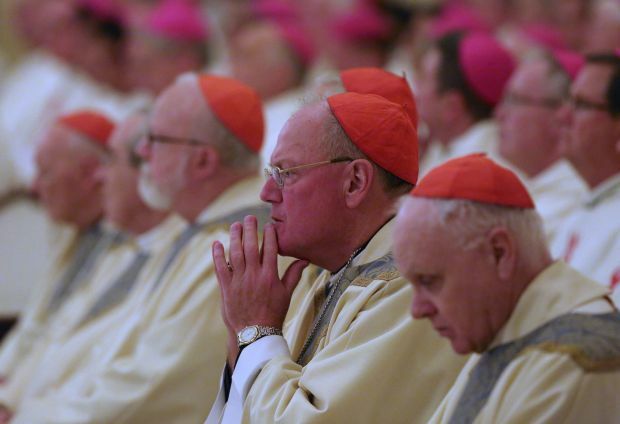 NEW YORK (CNS) — New York Cardinal Timothy M. Dolan said he wants “nothing further to do” with Priests for Life, which has its headquarters on Staten Island, which is in the New York Archdiocese. Cardinal Dolan said he had been asked by the Vatican Congregation for the Clergy to assist its national director, Father Frank A. Pavone, with “several necessary reforms,” but he said the priest has not cooperated. The changes have mostly to do with an audit and the need to establish an independent board “to provide oversight and accountability,” according to Religion News Service and Catholic World News. Cardinal Dolan made the comments in a letter to his fellow U.S. bishops dated Nov. 20. The letter was not made public. But Catholic World News obtained a copy and reported on it in a story posted on CatholicCulture.org. “Although Father Pavone initially assured me of his support, he did not cooperate,” Cardinal Dolan wrote. In a statement sent to Catholic News Service Dec. 16, Priests for Life said it is “working with the Vatican to fully implement all the church’s expectations. The Vatican has been consistently supportive and favorable toward Priests for Life, which is an international private association of the faithful.” It also said the issue was “about control,” not financial accountability. In 1993, New York Cardinal John J. O’Connor appointed Father Pavone, then a priest of the New York Archdiocese, to the full-time post as national director. Ordained in 1988, he had been a parish priest for five years. As head of the organization he gained prominence through his work with the group, traveling to all 50 states and personally working with Blessed Teresa of Kolkata and Mother Angelica, the founder of the Eternal Word Television Network. In 2005, Father Pavone was incardinated in the Diocese of Amarillo, Texas, headed by Bishop Patrick J. Zurek. In September 2011, Bishop Zurek suspended the priest from ministry outside the diocese, saying he was needed for work in Texas. Father Pavone appealed to the Congregation for the Clergy, which issued a decree that allowed him to minister outside the diocese with specific permission to do so from Bishop Zurek. The decree was dated May 18, 2012, and became public about a month later. “As a gesture of good will,” the bishop said in a June 2012 statement, “I will grant permission to him in individual cases, based upon their merits, to participate in pro-life events with the provision that he and I must be in agreement beforehand as to his role and function,” the bishop added. The disagreement between Father Pavone, who remains a priest in good standing in the diocese, and Bishop Zurek first became public when the bishop sent a letter to other bishops raising questions about the finances of Priests for Life and its affiliated organizations. The organization said it was not “appropriate to comment” further at this time. For now, the matter “is in the hands of the Vatican — where it belongs — and we will continue accomplishing our mission,” it said. The letter outlined Priest for Life’s five main goals for the coming year: “Maintain the pro-life momentum that’s sweeping the country”; get Congress to pass the Pain-Capable Child Protection Act, which would prohibit abortion after 20 weeks — when an unborn baby can feel pain — unless the life of the mother is in danger; “make health care in America abortion free”; “make every state in the Union” abortion free; and win the lawsuit against the federal health care law’s contraceptive mandate.